A not to be missed concert tour of young ragasinger Pushkar Lele in The Netherlands and Belgium from 30 November to 6 December 2011. 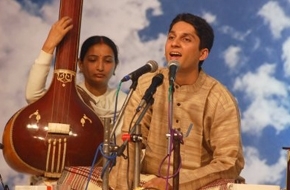 Pushkar Lele sings in the North Indian hindusthani tradition. Natural curiosity led him to follow in the footsteps of that great innovator of Indian vocal music, Kumar Gandharva. No imitator, however, he performs his own interpretations of ragas and bhajan poetry. Pushkar Lele’s vocal art will be accompanied by Sanjay Deshpande on tabla and Suyog Kundalkar on harmonium. 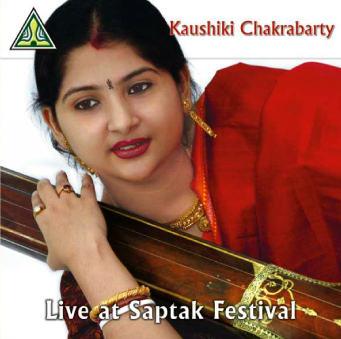 A beautiful example on YouTube of the mellifluous voice of Kaushiki (Desikan-)Chakrabarty, she must be very young here. Ajoy Chakrabarty – her father and also her guru – explains and plays harmonium. Yogesh Samsi is playing tabla. Raga playing on a piano? I don’t think so. Watch the video below and ask yourself: is this raga-playing? I don’t think so. No ‘wavy notes’ here, a ‘first requirement’ in raga music. How to really expose a raag’s melodic material in detail if you can’t bend the notes in order to reveal the raag’s mood and character in all its nuances? And running parallel to this problem of execution is the tuning and scale-problem. Only a limited number of ragas is candidate for being ‘adapted’ to the piano. Otherwise: Utsav Lal is definitely very talented and I admire his playing and musical efforts. Excerpts from my short film ‘All in one bow – de streken van Kala Ramnath’ (17min. 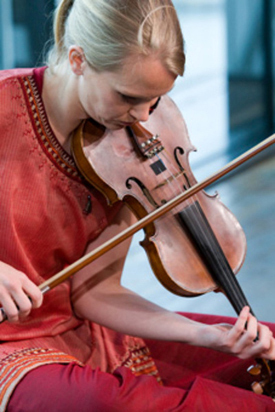 ), about Mewati-gharana violinist Kala Ramnath, filmed in september 2005 at my place in Amsterdam. I hope to rework this material (playing and interview) and combine it with other material of Kala’s playing that I shot in 2006, a full concert in Utrecht and a workshop in Rotterdam.